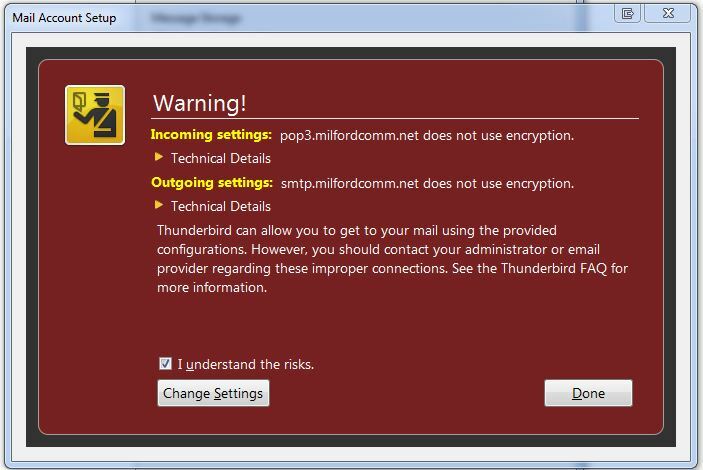 Here are the steps to set up your POP3 email account using Mozilla Thunderbird. 1. 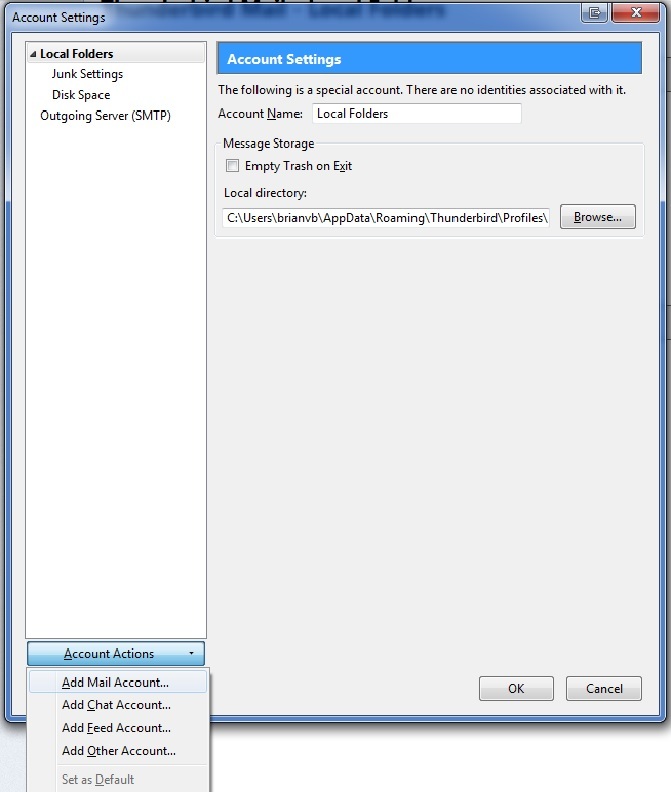 Open Thunderbird and click on Tools –> Account Settings. 3. Enter your name, email address, and password and click Continue. 4. 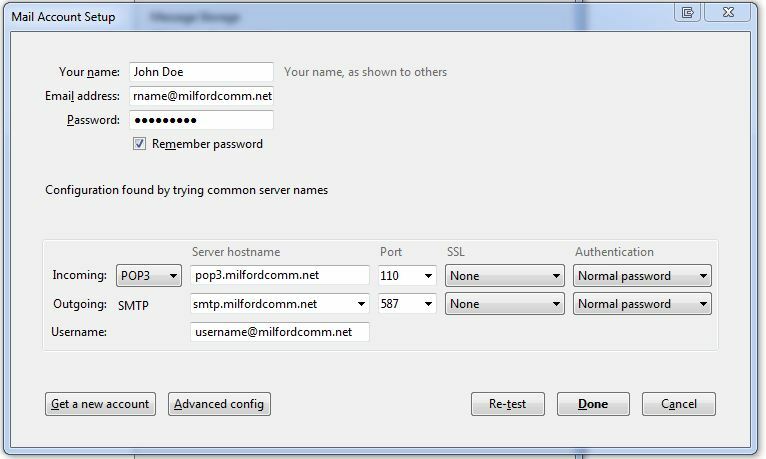 Choose POP3 for the account type and then click on the Manual Config button. 5. 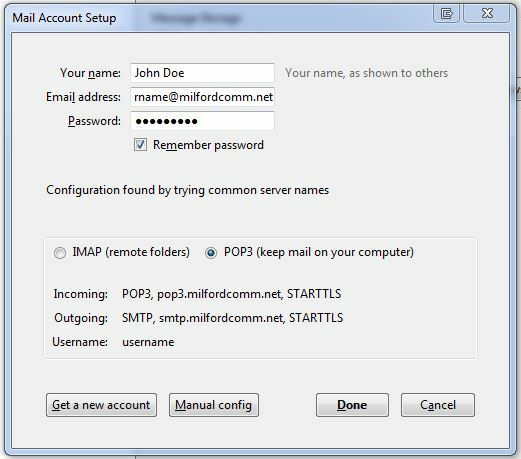 Use the settings listed below for your POP3 email account. 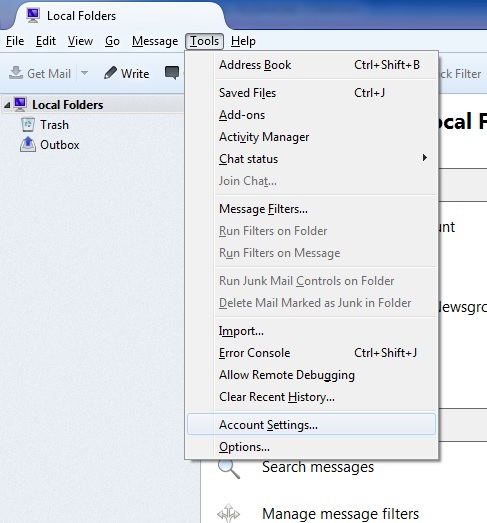 Make sure you enter your full email address in the username blank at the bottom. Click Done when you have completed entering your information. 6. Do not be alarmed by the warning that follows. Check the box saying I understand the risks and click Done. 7. 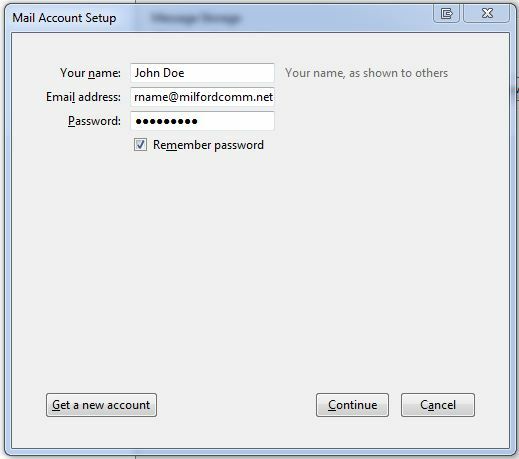 Once setup is complete verify the number of days you want to Leave messages on server. Milford Communications recommends setting this to five days, but you can adjust this to meet your needs. This does not affect the emails you save on your computer. 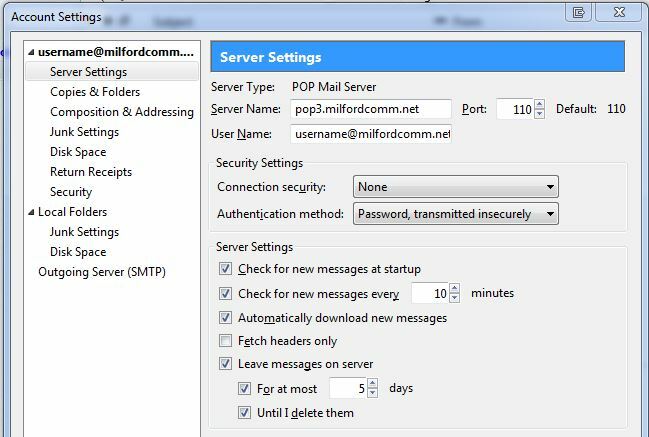 It is only the number of days that a copy of the emails are kept on Milford Communications email server.